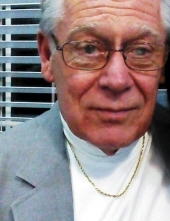 Mr. Paul M. Powley, 77, of Harrisburg, passed away on January 30, 2019, at Colonial Park Care Center, Lower Paxton Twp. He retired as an Electrical Engineer for the former New Cumberland Army Depot, Fairview Twp., and was a member of Calvary United Methodist Church, Harrisburg. Born on May 2, 1941 in Philadelphia, he was the son of the late Paul and Joyce Powley. He was the widow of Elaine R. (Hulliger) Powley. Surviving are two sons, Thomas P. Powley (Vicki) of Linglestown, and Jason C. Powley (Brianne) of Camp Hill; a daughter, Kymberly A. Snoke (Don) of Dover; a brother, Ronald Powley (Cindy) of Halifax; three grandchildren, Chelsey Harkey, Samantha L. Powley, and Christina M. Powley; a great granddaughter, Isabella. Funeral services will be held at 11 AM Thursday, February 7, at Calvary United Methodist Church, 4700 Locust Lane, Harrisburg, PA 17109. Burial will be in Odd Fellows Cemetery, Laurel, DE, at 1 PM on Saturday, February 9. 2019. Viewing will be held one hour prior to services in the church. To send flowers or a remembrance gift to the family of Paul M. Powley, please visit our Tribute Store. Calvary United Methodist Church, Hbg. "Email Address" would like to share the life celebration of Paul M. Powley. Click on the "link" to go to share a favorite memory or leave a condolence message for the family.